A second day hair is a tiny issue that every woman has to deal with. And yes, we all dream about having that nice blow dry last for longer than a day. But unfortunately, till the end of the next day after you have washed it, you have that feeling of having to wash it again. So, to prevent from washing it, you can simply put on a beanie or a fedora and no one will notice your bad hair. But if you have to go the office, this is of course a bad idea. So, how you should deal with your bad hair day when you don’t really have time to wash your hair? Well, of course there are a lot of solutions for this tiny problem and you are about to find them. We have picked the Top 10 Hairstyles For Second Day Hair that you will for sure love to try. And guess what, we have chosen them in the form of step-by-step tutorials, so that you can easily learn how to do them. Check them out and do not hesitate to try all of them. As you can notice these hairstyles are quite versatile and all of them are easy to be done. Braids are perfect for second day hair. You can try a side or back braid, sleek or messy. 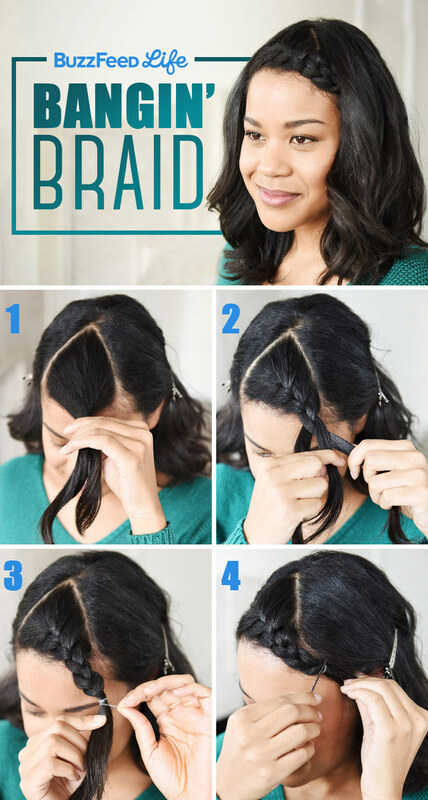 And if you have bangs, you can also braid them and thus prevent them from looking greasy. Besides braids, you can also wear your hair in a ponytail and there are many ways of how to wear it. And of course, you can wear your hair in a bun, whether sleek or messy. To fix a bad hair day, you will also have to use some dry shampoo or baby powder. They will add a texture to your hair and will take the grease out of your hair. So, which one from the above hairstyles is the perfect choice for fixing your bad hair day? Tell us in the comments and also let us know if you have any other hairstyle idea for such days. Thank you for reading and don’t forget to stay up to date with the content of Fashionsy to find many other hair, nail and makeup tutorials.